“lo precario” (the precarious); transformative acts that bridge the gap between art and life, the ancestral and the avant-garde. Liquid Architecture, Ensayos, Institute of Modern Art (IMA) Brisbane and Curatorial Practice at MADA (Monash Art Design and Architecture) are pleased to present a special performative lecture by the Chilean poet, artist, filmmaker and activist Cecilia Vicuña. Vicuña’s lecture is part of The Artist As…, a year-long lecture series co-presented by the IMA and Curatorial Practice at MADA. The series examines the ways artists move through the world and how that movement might involve adopting other roles to pursue a project, a position, a politics, or a practice. For any given project the artist may act as architect, as ethnographer, as archivist, as producer, as curator, as activist, as choreographer, and so on. The Artist As… also recognises that many artists come to their practice as experts in other fields, bringing with them specialist knowledge that informs and shapes their work. Cecilia Vicuña’s multifaceted work addresses the pressing concerns of the modern world; ecological destruction, human rights and cultural homogenisation. Born and raised in Santiago, Chile, she has been in exile since the early 1970s after the military coup against elected president Salvador Allende. Beginning in the mid 60′s in Chile, Vicuña’s practise might be formulated as “hearing an ancient silence waiting to be heard”. Her works are fluid and tangential, often starting as poems, becoming images that morph into film, song, sculpture or collective performance. These ephemeral, site specific actions in nature, streets and museums combine ritual and assemblage. She calls her impermanent, participatory work “lo precario” (the precarious); transformative acts that bridge the gap between art and life, the ancestral and the avant-garde. In Chile Vicuña founded the legendary Tribu No in 1967, a group that created anonymous poetic actions throughout the city. In 1974, exiled in London, she co-founded Artists for Democracy to oppose dictatorships in the Third World. 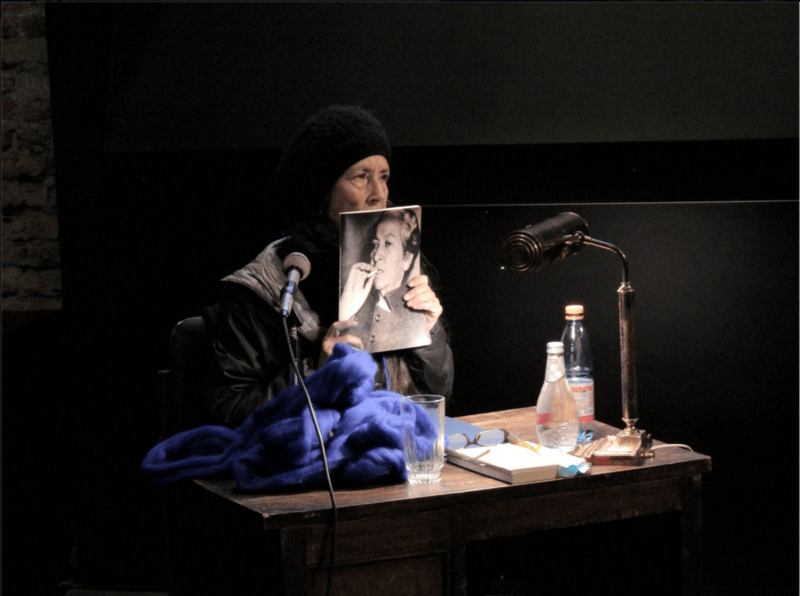 Vicuña has published twenty-two art and poetry books, including Kuntur Ko (Tornsound, 2015) and Spit Temple: The Selected Performances of Cecilia Vicuña (Ugly Duckling Presse, 2012). Her Selected Poetry is forthcoming from Kelsey Street Press, 2017. In 2009, she co-edited The Oxford Book of Latin American Poetry, 500 years of Latin American Poetry. She edited ÜL: Four Mapuche Poets, in 1997. A partial list of museums that have exhibited her work include: The Museu de Arte Moderna do Rio de Janeiro, Brazil; Museo Nacional de Bellas Artes de Santiago; The Institute of Contemporary Arts (ICA) London; The Whitechapel Art Gallery in London; The Berkeley Art Museum; The Whitney Museum of American Art; and MoMA, The Museum of Modern Art in New York. She divides her time between Chile and New York.